MICHAEL Lim lifted the tonearm of his vintage Thorens model TD135 turntable. He carefully placed the needle on the spinning 12-inch vinyl album. And the golden voice of the late Jim Reeves filled the room, crooning He'll Have To Go.The retired mechanical engineer was momentarily in a world of his own, as he went on a sentimental journey back in time. One could see the satisfaction on his face when the song's finished.
" Nothing can beat the turntable when it comes to producing sweet sounds. Simple devices they are, yet there's something about them that keeps you wanting to play on and on, " he adds. Growing up in the golden era of turntables and vinyl records, Lim’s love for this music player started with the family gramophone.“In the 60s, having those spinning record players was a big thing. That’s the only way people could enjoy their songs from their favourite artistes,” he says. The next factor that makes turntables special goes beyond the music it produces. “When you use the turntable and vinyl, you’ll be very much involved in the whole process. You replace the record, clean it, brush it and, after you hear it for 20 minutes, you do it all over again. It’s like a ritual exercise, which is very therapeutic,” says Lim. Today, Lim owns 50 turntables from the 1950s to more current models. He spent more than RM100,000 on these vintage music machines. To pair up with the players, he has more than 700 vinyl records. According to Lim, the 60s were indeed the glory days of the turntables. But in the 70s and 80s, when cassettes and CDs became popular, turntables almost completely vanished from the market as people no longer appreciated them. “Even my wife gave my first turntable away,” recalls Lim. Now, after almost 30 years, turntables are making a comeback, says Lim. His love affair for these vintage machines was rekindled. More so, it opened up an opportunity for him. “All these happened about 10 years ago. I was nearly 50 and was thinking what I should do when I retire,” he says. So he visited the flea market in Amcorp Mall, Petaling Jaya, and Sungei Road in Singapore and bought some old turntables. “I took the players home and played my old albums from the 60s to 70s. From then on, I started to explore this vintage music players. I studied them, opened up all the compartments and became more fascinated,” he adds. Lim quit his job and worked as a turntable specialist at an audio video house, Asia Sound, in Amcorp Mall. Today, the mall has become the place for turntable enthusiasts to share their hobbies and sell or exchange vinyls and turntables. Modern turntables are slim, attractive and more colourful. “Makers like Rega, Thoren and Denon are coming up with modern turntables in attractive design and colours to attract the young generation,” says Lim. To cater to the tech-savvy iPod and MP3 generation, makers like Denon have also come up with fully automatic turntable equipped with an internal MP3 encoder, along with a front panel USB port. These players can convert analogue records into modern MP3 digital audio tracks and stores them onto a USB memory stick. “There is an increasing demand for songs from the 50s, 60s and 70s from the younger generation and the older ones who want the convenience of listening from their digital media players,” says Lim. But for him, vinyl records are best played in their original format as all the music frequencies can be reproduced through the turntable in analogue format. “Once you converted it to digital, the sound is already compromised and it’s no longer original,” he adds. One can get modern turntables like the Rega P1 for as low as RM900. There are also better models like the Rega P3 and Thorens. “When these turntables are paired with modern amplifiers and speakers, the sound produced is simply exceptional,” he says. The demand for vinyl records has seen a 60 to 70 per cent increase over the past few years. In line with this trend, the recording industry is moving towards producing more vinyl records. Lim says newly pressed vinyl records are also available in the market, and some recording companies have also been producing albums in vinyls. Despite the presence of those New Age turntables, Lim still has a soft spot for the vintage breed. “Some of the best turntables were made in the 50s, 60s and 70s, and even today they are still very much sought after by enthusiasts worldwide. It could well be the nostalgic elements they are attached with. That is priceless,” he concludes. Turntables are making a return. The growing band of vinyl fans now include young and hip professionals. And at the KL International AV Show 2010 in July, one company hopes to make heads turn, writes SITI SYAMEEN MD KHALILITURNTABLES and vinyl records are no longer the domain of the older generation. There has been a resurgence of interest among those in their 20s and 30s, says Michael Lim, a turntable specialist with Asia Sound Equipment (M) Sdn Bhd. “Young guys walk into our showroom, listen to a RM700 turntable and say, ‘Wow, how can such a simple thing produces such a beautiful sound?’ They love the quality of sound that the turntable produces.” Lim adds: “A turntable is a fascinating analogue machine. You can play around by changing its parts to get different sounds. A good turntable can deliver beautiful sounds. 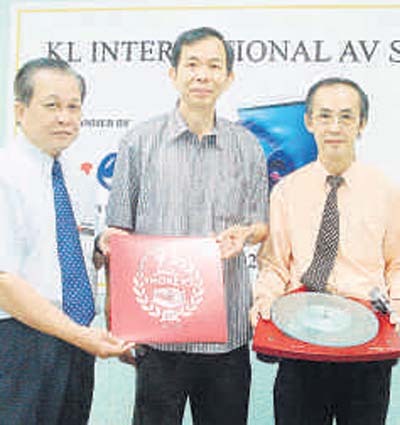 It is easy to maintain and there are plenty of parts and accessories available, whereas a CD player that produces the same sound quality will cost between RM30,000 and RM40,000, and you can’t replace the parts that easily.” For the upcoming KL International AV Show 2010, Asia Sound will showcase Thorens’s latest product — the TD 309. Featuring a three-point suspension for perfect balance, the model is available in black and red finishing. Stylish and sleek, this mid-range model will delight the older generation with its superb sound quality while yuppies will appreciate its modern look. Asia Sound’s manager Eddie Tan revealed that Thorens is a 128-yearold turntable maker that combines Swiss precision with German mechanical engineering expertise. “Thorens has a strong manufacturing tradition. And in terms of design, instead of the usual boxy look, the company opted to modernise the shape of the product. The engineering that goes into the model has also advanced. “For example, the arm is enhanced with Japanese bearings for low resonance and the platter is made using fused silica,” Lim points out. Tan adds: “The TD 309’s Tri-Balance design is inspired by photographers’ tripod. 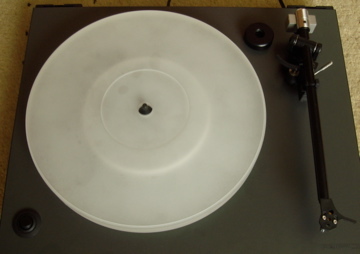 A turntable’s design affects sound output because the record rests on the player. “If a user changes any part of their turntable, such as the platter, felt, needle, separator or even the legs on which the turntable is set, it can change the pressure and affect the sound. Even the materials used to make the turntable parts can affect the sound.” Apart from the make of a turntable, the quality of a record also affects sound output, says Tan. “Vinyl lovers generally perceive that records made in the US are of good quality. The same goes for firstpressing records that are made in the 1950s and 1960s as they are made using analogue equipment — even the mic that is used by the singer is analogue. For this type of records, you need an analogue player — there is no other way to extract the sounds.” Tan says: “To keep your records in good condition, keep them upright. Never stack them like old newspapers.” Lim adds: “Always keep them clean and put them back into their inner sleeve when you are done listening. The same goes for your turntable. A wellmaintained turntable can still perform well, even after 30 years.” Asia Sound will offer the Thorens TD 309 at RM4,500 during KLIAV 2010, which is RM400 cheaper than its usual price. The sub-platter is a very critical component in turntable. It works together with the main platter as a single entity when it spins. For Rega turntables, sub-platters are at the inner 1/3 segment contributing very much less to the moment of inertia as compared to the platter. This is even more true when spinning with the underslung acrylic platter (or the underslung RP6 glass platter). Bearing in mind this fact, I feel the sub-platter should be light and with more of its mass at and near the outer rim where it matters most (bigger mass at the rim would contribute to higher moment of inertia). So part (~half) of the mass, other than at the rim and it's supporting ribs/structure, is "dug out" in my sub-platter design to make it less heavy. A "heavier" sub-platter in this case is not going to do much good. 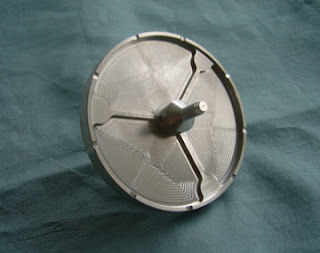 If it has been of uniform disc design, extra load would be added to the motor as well as the main bearing. In addition, anti-resonance pattern is precision-machined onto the sub-platter using latest CNC equipment for better performance. For Rega turntables( P1, P2, P3, RP1, RP3, P3-24, P5, P25 ...) with stock resin sub-platters, this aluminium metal sub-platter is one of the best upgrades which gives significant sonic improvement to the turntables. *Also available: Model ALSPB (USD150.00) with larger diameter to slow down the TT speed. The sounds so much clearer bass improved by a massive amount just played Phil collins in the air tonight the drum solo just hits you GnRs sweet child of mine intro sound more precise and just cuts into the air like a knife. keyboards crystal clear and the album has all I can describe has more toque its fuller, timing seems even better. Then I played iron maiden first album and the guitars and bass are so tight and G&Rs paradise city is out of this world. İ changed subplatter today. İt was a big improvement. Tighter bass, better imaging, more airy feeling and more details coming from vinil grooves. 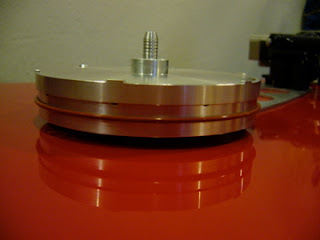 I have now replaced the old Rega sub-platter with your custom made aluminum sub-platter. It was an easy procedure following your instructions. The new sub-platter is very tight so I had to give it a little downward push for it to settle in the bearing housing. The change was quite subtle at first comparing with installing the motor-base and changing to the metal double-pulley. However, after letting the new sub-platter run for a few hours and while spinning some of my favorite LP:s I started noticing changes in the sound. The changes are perhaps best described as more of everything, adding depth in the base as well as in the general soundscape. The background grew quieter as well the more I let the deck run. I noticed I raised the volume on the music because of the low background noise level. I’m very happy with how it sounds – the best it’s been for sure. I have just received the sub-platter. Replace the original one with it was quite easy. Very happy with the upgrade! My next investment will be the acrylic platter. It took a little while to settle down, but once it did, it was marvelous. I also took the opportunity too re-align the cartridge and the counterweight, so the improvement was huge. It seems to be working fine and has made a big improvemnt to the sound. It sounds great, warmer, richer and with stronger bass and a more live sound that ever before. Hello again Michael, Already received and installed the upgrades. Super easy to do and they look and function flawlessly, I couldn't be happier ! . Everything installed without issue.... So far it however sounds(not to mention looks) pretty great I must say. I will stay in touch for the next upgrade! Thanks again for your amazing help mate. The sound is also more relaxed, before it was more nervous. The record clamp also gives more detail. I got a lot quality for very little money. Now that my TT is set up properly and my records have been deep cleaned, the listening experience has moved to another level. Sound staging seems deeper and I'm hearing more detail. It's amazing to hear how much music are in those grooves! Thanks Michael for your great work. Yes, the Rega is up and running, and what a difference! I installed all the items at once, Sub platter, twin pulley, silicone belts and the acrylic platter. The sonic improvements as I can hear it are: better timing, more "space" around the instruments, deeper and more solid bass. The start up time is instant, and the stability of the speed is much better. So thank you Michael, for revitalizing my old Rega, now considering what upgrade to go for the next time. The alu-subteller and pulley are here, thank you ! The produkt is fantastic and I shop more produkts from you ! Feedback and Photos comes next week, o.k. ! My parts arrived this week and I installed them in a Rega RP1 today. As you said, installation is pretty painless. I'm particularly happy to see the platter wobble disappear with the installation of your subplatter. This anti-resonance acrylic platter is suitable as a replacement for the original glass/wooden platter for all models of Rega turntables ( P1, P2, P3, P3-24, P5, P25 TT's ...). Nominal dimensions are 11.5" diameter and 23mm thickness. 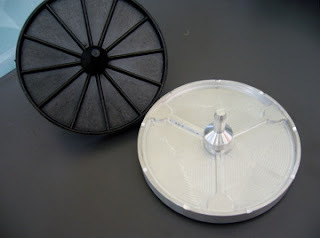 Its mass is concentrated on the outer and lower portions of the platter, thus provides stability in the circular movement, enhancing sonic performance. Other than suitable for Rega turntables, this acrylic platter could also be used on other models of turntables e.g Thorens, Lenco, Pro-ject etc. Yes, the Rega is up and running, and what a difference! I installed all the items at once, Sub platter, twin pulley, silicone belts and the acrylic platter. The sonic improvements as I can hear it are: better timing, more "space" around the instruments, deeper and more solid bass. The start up time is instant, and the stability of the speed is much better. So thank you Michael, for revitalizing my old Rega, now considering what upgrade to go for the next time. Receive the goods and the improvements are amazing. The next thing I'am looking at is the bracing top and bottom and a record clamp/weight. Michael, just wanna let you know that I received the acrylic platter from Leslie last week. Build quality is excellent and I'm not using any mat when playing records. It's as if a veil has been removed from my speakers. The platter arrived on Monday, much sooner than expected, and I have been away for a few days so have only just been able to try it this weekend. When I opened the package I was immediately impressed with the finish and quality of the product. I have a RP1 previously updated with white belt, rewired RB202 tone arm and Ortofon Super OM 30 cartridge. My first impressions are the sound (previously slightly bright) is now more even with fuller tighter base and clear, detailed treble. "The sonic changes from the substitute platter took no effort to discern. 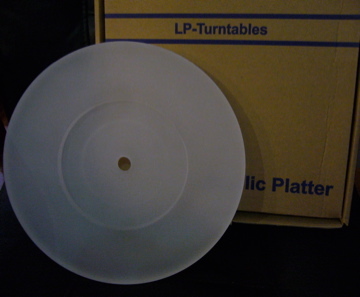 The baked and pressured sawdust-glue original platter of the P2 couldn't match the bigger acoustics, denser image with more specifics outlined, firmer bass (with less of the chesty upper bass emphasis of the original), clearer treble and plain all-round finer detail that the acrylic platter brought out from the P2." "Even the glass plattered P3-24 was improved on, something an “audiophile wife” who was at Asia Sound with her husband to pick up their new red P3-24 readily agreed with – you should audition these after-market products if you have a Rega turntable below P7 grade. "Immediately, upon the drop of stylus on to the LP groove, I noticed lower LP surface noise. LP hiss is almost eliminated too. But best of all, I heard less high mid sibilance so prominent on glass platter ed Regas. The acrylic platter also tidied up what ever so slightly splashy high hats and cymbals on drum tracks. The mids are now more solid with good body density, great focus and definition, solidly anchoring the singer(vocal) to the ground. Bass is more articulate and tightened. The acrylic platter up grade lifts the hifi performance perimeters of my Rega P25, while manages to keep it's best virtues of the signature musical flow and tempo." "I had been comparing Michael Lim's vinyl platter with the stock Rega glass platter on my modded Rega Planar 3 and I noted that the vinyl platter delivered a steadier pace and rhythm. This is due to the fly-wheel effect of the vinyl platter since it is thicker at its rim. " 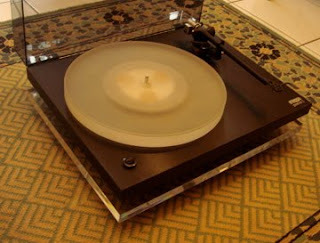 Hi-Fi Avenue - Review on the acrylic platter for Rega turntables. HiFi unlimited - Review on the acrylic platter for Rega turntables.